For someone who is a newbie, then you have to consider giving it your all as it can be challenging sometimes. As much as it can be challenging for the first time, you will always get to enjoy it. For some users, they have claimed that using a baitcaster would help them reduce stress, and smoothen their thinking. Well, that is debatable, but you can always be sure to enjoy working on your baitcaster each time. It is crucial that you learn how to correctly line the baitcaster. Whenever the line is not properly placed, you will end up having a messed up line. Do not worry as we will get to teach you all the important steps needed to handle the process of putting the line on a baitcaster. If you are going to adequately put a line on a baitcaster, you will need some essentials. Below is what you need for this method. The spooling station tool is optional and it is okay if you cannot access one. You could do it manually by using a pen for arranging the line whenever it starts showing a mess. This is an important tools that should make your work easier for lining a baitcaster as it is made for that purpose. You simply have to get the reel into the fishing line winder found on the tool. The winder will hold the line so that you can put it on the baitcaster. You can now take the new line and proceed to insert it into the baiscater spool. You need to do a uni-knot to make the process simple. Make sure that the knot is as sturdy as possible. This is important that in the long run you do not have any trouble and also the line would not end up being messed up. For those who do not have a reel spooling station, then a pencil can come in handy and save the day. With the pencil in position, you should start rolling the line into position without any trouble. You can now roll the crank of the baitcaster until there is about 1/8 inch space from above. Turn it clockwise on the handle slowly applying consistent pressure. You are not to roll abruptly. Whenever you roll faster, it might not end up giving the best line rolled on the baitcaster. By now you should be ready to go out and catch some fish with the baistcaster. For more tips on how to get line on a baitcaster, you could benefit from checking out this video. Find the right gear ratio. This will always determine the speed you get to use when retrieving your lure. Many people would have not known this, but it is important you get on with the right gear ratio. It is advisable you go for the 5:1 or 6:1 gear ratio. The 6:1 is considered the fastest of the bunch. Depending on what you want to catch, sometimes you are advised to go for a lower speed. The spool size is important as it affects the type of fish you would catch with your baitcast. For those going to pursue the larger and stronger fish, you will need a heavier line. This means that you will get to use a large line that takes up more space. 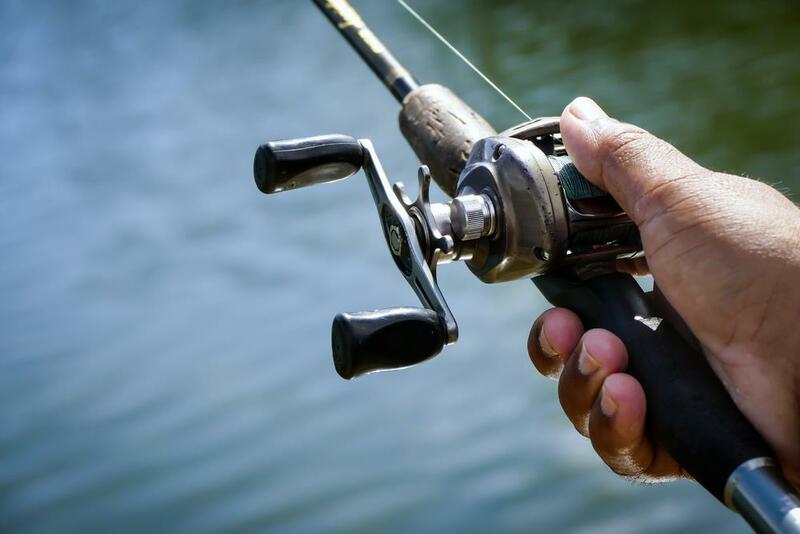 Comfort is also important – if you are looking to become the best angler, then there is the need to choose the baistcaster based on the comfort too. Comfort begins with the grip, and having a balanced rod and reel combination. This should help you with casting accurately each time. Take the time to compare the different models to understand what each has to offer before making a purchase for yourself. What Are The Best Lures For Saltwater Fishing? How to Catch a Walleye ?